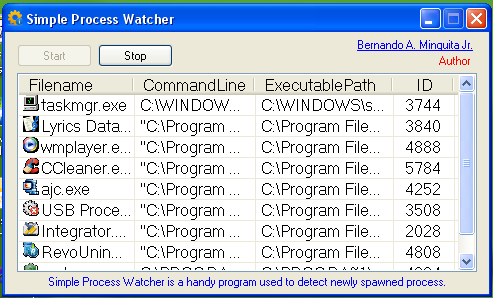 Simple Process Watcher (SPW) is a handy program to detect newly spawned process. Every spawn programs will be displayed, including control panel applets. Does it actually notify the user of all new running processes? Does it just use a timer or does it hook the actual call that enumerates the running processes?.